You are here: Home / Practice Management Software / Why Does a Firm Need Legal Practice Management Software? Having defined what comprises good legal practice management software, why does a law firm need it? As with any decision a law firm makes when investing its limited resources, the firm should compare the total cost associated with the system against the economic return that the system brings the firm. If the return is greater than the cost, then it makes sense to invest in the system. With this in mind, what returns can a law firm expect from the use of a LPMS? Firms can reduce their exposure to risk and malpractice in several ways. First, a tickler system will make sure that deadlines are not missed, and that files do not get stuck in a back filing cabinet and disappear – a fear of many lawyers. Second, a conflict checking system will make it less likely that a conflict is missed and a firm ends up representing a client that they should not be representing. Finally, rules based processes make sure that the staff doesn’t miss an important step in a lawsuit or transaction that could result in malpractice. A firm saves time and money by lessening the chance of a malpractice lawsuit, and underwriters look favorably on firms who use practice management software, potentially resulting in a lower annual premium. 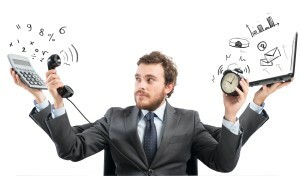 Law firms that can perform work in less time can take on more work, or enjoy more leisure time. Practice management programs, by making all information centrally located, reduce wasted time that every law firm experiences searching for hard to find files or documents. When a client calls, information is instantly available to the attorney and office staff – that leaves more time to practice law with and for the client, and less time searching for information. Having all the relevant information in the practice management system also reduces the need to maintain duplicate data. If a change is made to a client’s address, for example, it is also changed in the time and billing program and in subsequently created letters. As important, when the address is changed for use by lawyer A, it is also changed for use by lawyer B. This not only eliminates having to enter data more than once, but makes it more likely that the data is accurate everywhere it is needed. When a law firm knows where its data is, the firm’s lawyers and staff can be more efficient. A problem every lawyer experiences is making sure they know what to do next in a case or transaction. Rules based scheduling makes sure that the process is pre-defined, maintaining firm standards, and that the entire firm moves efficiently from one task to the next. “Who has Judge Smith’s number?” With a practice management program, everyone knows, and with minimal effort. With group scheduling there is no “scheduling tag” that results in the sending of numerous e-mails or memos in an attempt to get several lawyers together – simply pull up everyone’s calendar and see when everyone can get together. If a staff member or attorney leaves the firm, another staff member or attorney can immediately pick up where the departing employee left off. With information centrally located, lawyers can better collaborate on projects. Especially in mid-sized and large law firms, certain work is often done repeatedly – simply because the person doing the work has no idea that someone else has already accomplished the task. Take legal research for an example. Because there is no central repository for legal research in most firms, the same research is performed over and over again. When legal research is included in a practice management program, research is saved along with the case. This means that someone about to perform a legal research query can first run a search on the firm’s research database to see if someone has already performed this research. If they find that the research has already been done, it may mean that a brief or memo has already been written, saving time and probably producing a better work product. Moreover, the lawyer has found someone else in the firm with whom they can now collaborate. Because practice management software saves time and increases efficiency, there is more time to practice law and reflect on the clients’ cases, and it is more likely that better work product will be produced, with higher success rates. This, in turn, can generate a better reputation and more work for the firm. Simply put – better work product, more profits. As first designed, LPMS gave law firms a place to put information about each file. Today, almost every activity that takes place in a law firm can be recorded and tracked in a practice management system creating better work product and resulting in a law firm that is more effective, efficient and profitable. The larger the firm, the more likely that a good legal practice management system will enable it to do the same amount of work with fewer employees, or more work with the same number of employees. Either of these outcomes result in easily quantifiable and substantial savings. Assuming an average support staff costs $30,000 per year, for every such employee you don’t have to hire you save $30,000 per year, every year. Codifying business processes and protocols within a LPMS reduces the cost of staff development and turnover. A common problem for law firms of all types is not having established business processes, resulting in each employee having their own way of doing things. This causes ongoing inefficiency, increases the difficulty in training new employees, and dramatically raises the cost of staff turnover. Because a LPMS establishes how your firm operates – codifying your firm’s business processes and protocols – your firm will be more efficient, it will be less likely that you will have employees using their own systems, you will be able to get new employees up and running more quickly and less expensively, and your firm can better handle employee turnover. For firms that operate by serving larger volumes of clients, a LPMS provides valuable CMS (contact management system) functionality that enables the firm to better leverage their marketing investment. Set up properly, LPMS can provide call center functionality that includes contacting prospective clients, confirming appointments to increase show rates, and follow-up systems to maximize the likelihood they will retain the services of the firm. If a LPMS can help a firm acquire just one additional client that it otherwise would not have retained, the return in just this one area will be many fold more than the investment in the LPMS. The ability to ascertain where the firm’s business is coming from by tracking how prospects and clients find the firm. By drilling down further into this data to see if the closing rate on prospects is better for certain advertising sources than others, firms can better manage their marketing budget, and lets them focus on the marketing media that will generate the most clients. Business metrics enable firms to evaluate the efficiency of their staff, something that is typically done simply by looking at billable hours, or, more likely never done. Being able to mine the firm’s data to determine who the most efficient and best performing staff members are enables them to be rewarded for favorable results which raises staff morale. Scarce firm resources can also be allocated, or reallocated, in a way that maximizes efficiency and profitability. These are just two of the many types of comparisons and analyses that can be made across the spectrum of a law firm, providing they have the information obtained from a LPMS that they otherwise would never know about. Having implemented LPMS into hundreds of law firms over the past 20 years, we have no doubt that every law firm can reap appreciable economic benefits by automating their efforts with the right LPMS. Some of the returns were immediate, while others took up to a year to materialize. Regardless of the timing, even the lowest returns justified the investment in the LPMS. Recognizing that law firms’ needs and practice patterns vary, we offer that, moving forward, every law firm will eventually recognize the need for, and value of, installing a LPMS to improve the quality of their services, improve internal efficiency, reduce internal mistakes and associated risk, and thus realize higher profit margins.